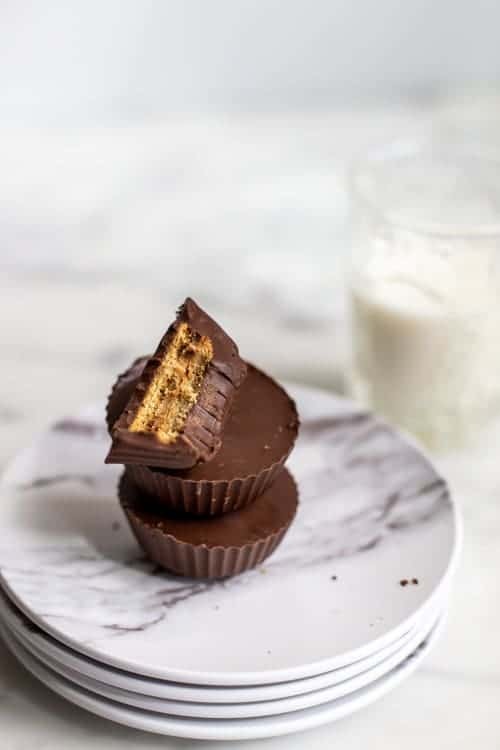 Chocolate Covered Nutter Butters…who can resist the combination of chocolate and peanut butter? Not me! And what makes these treats even more irresistible is how easy they are to make. If you are a chocolate fan, peanut butter fan, or cookie fan, you can have it all in this little treat! I know how much you love quick and easy to make treats. I know how much you love chocolate. Why not combine the two and have something you can whip up in less than 30 minutes! Did I mention that Chocolate Covered Nutters Butters don’t require any baking? 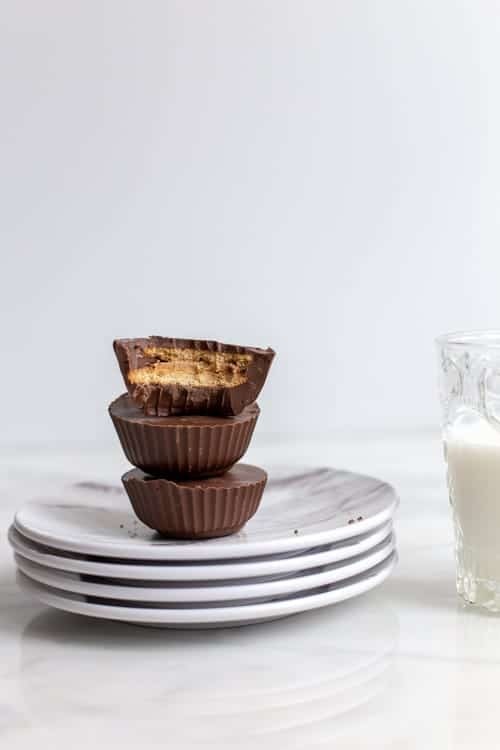 Yup-if you can melt chocolate, then you can make these tasty little treats. What do I need to make Chocolate Covered Nutter Butters? I used Ghirardelli dark melting chocolate and Nestlé milk chocolate chips. It’s also important to mention again that you will need the round Nutter Butter cookies, not the peanut shaped ones! Just combine the dark and mild chocolate in a glass bowl and microwave for one minute. Stir, then continue to melt the chocolate in the microwave in 15 second increments, stirring afterwards. 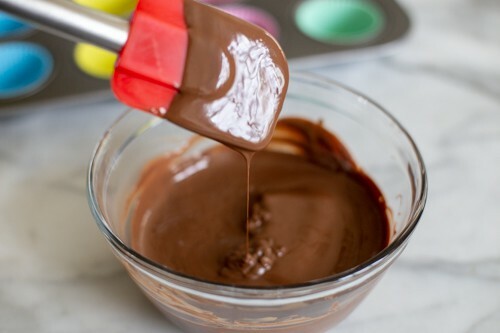 Now that you have your chocolate perfectly melted, you’re ready to make the Chocolate Covered Nutter Butters! Line a 12 cup muffin pan with silicone cupcake liners. Cover the bottom of the liner with about 2 tablespoons of melted chocolate. Place the Nutter Butter on the chocolate. 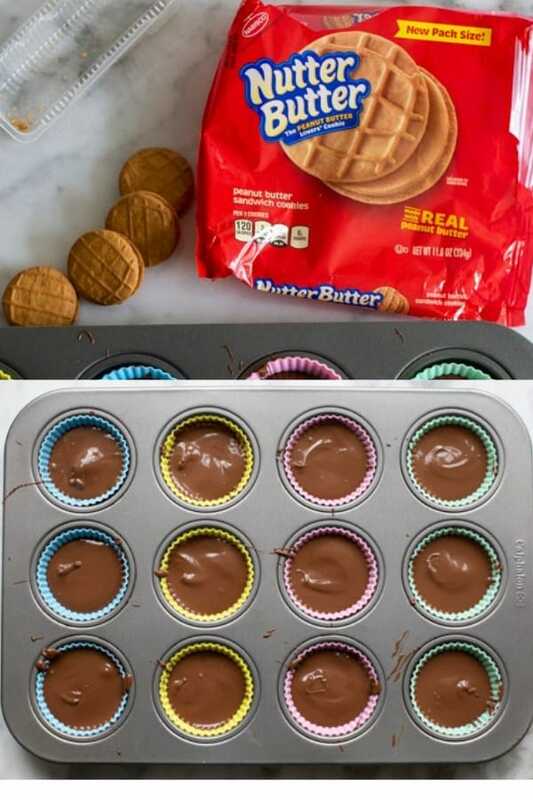 Cover the Nutter Butter with enough chocolate to cover the cookie and run down the sides of the liner. The liner will be about 2/3 of the way filled. Chill in the refrigerator for about 20 minutes, or until completely set. Enjoy with milk or coffee! If you made these Chocolate Covered Nutter Butters, or any other recipe on the blog, don’t forget to leave a rating and a comment below. I love hearing from my readers! You can also find me on Facebook, Instagram and Pinterest! This looks really easy to make! Will white chocolate work as well? Yes, I think it would be great with white chocolate too!